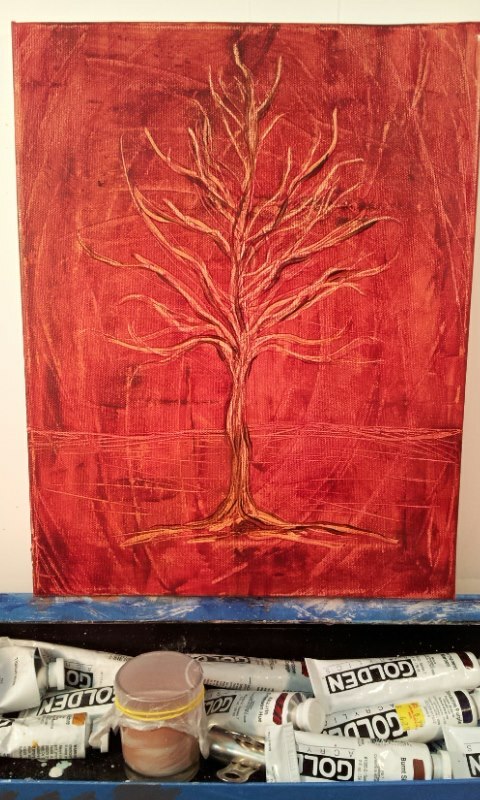 Here is a little abstracted tree that I'm working on. I'm thinking about giving to my brother for his new house. It's a 11 x 14 canvas and I'm about half way done with it....just need to add in highlights, darks and then a few glazes of clear yellow gold to warm it up some.